*We handle all of the transportation once you reach Juneau, including the ferry ride to and from Haines. 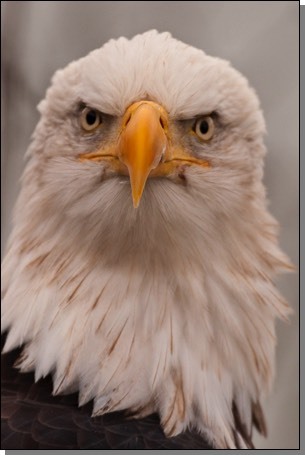 *You get to spend a full 4 days with the eagles. 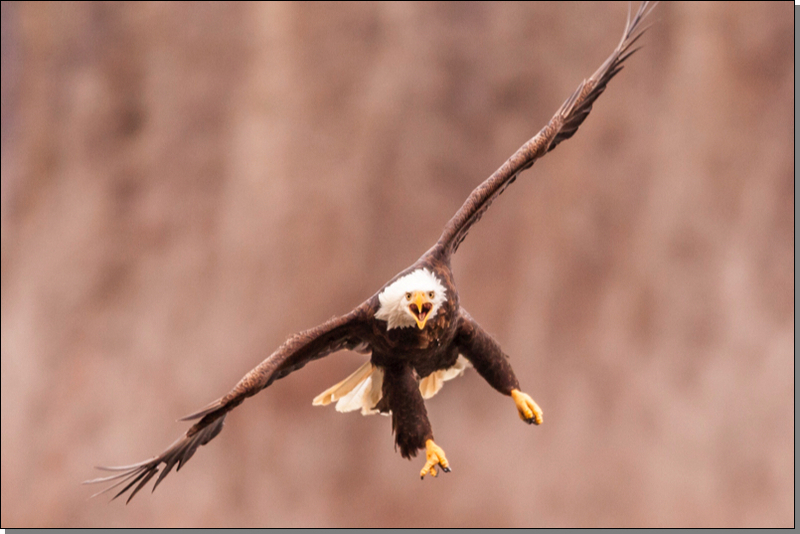 Bald eagles are one of those species that photographers can’t seem to get enough of, and five days is just barely enough time to scratch the surface of the photo possibilities. 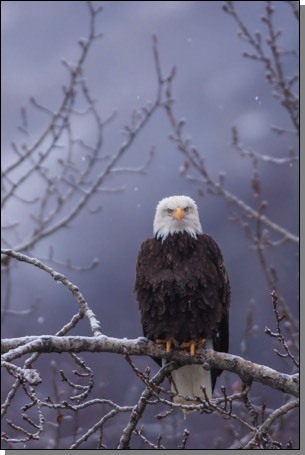 Between the behaviors and the surrounding scenery, there is always something different to include in your compositions, there is always something new to capture in your images of our national symbol. 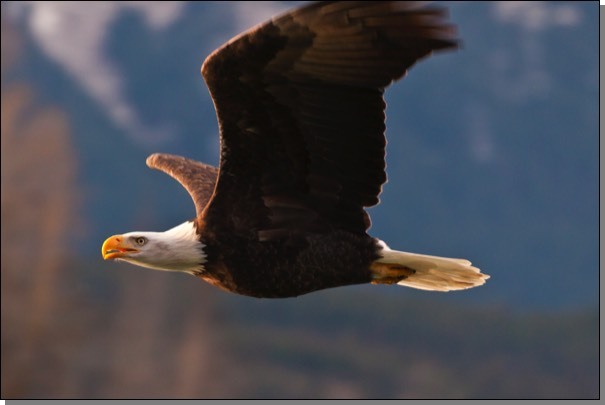 And all of the daylight hours will find us focusing on the eagles and their environment. 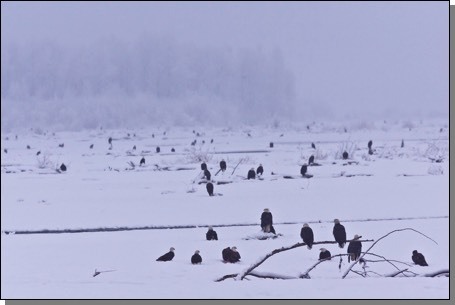 We’ll spend the short days of late autumn on the edge of the Alaskan wilderness, immersing ourselves in the lives of these birds as they take advantage of the last bounty before winter. 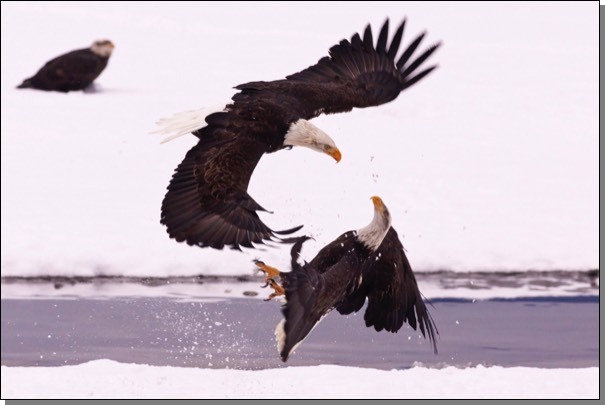 The eagles begin congregating along the Chilkat River in early October, taking advantage of the last salmon runs as the bears begin going into hibernation. Large numbers of birds remain through the end of November, and many stay until spring. The trick is trying to time the best of the salmon run with the ideal weather--snow is preferred. The best part is that raptor lovers really can’t lose. 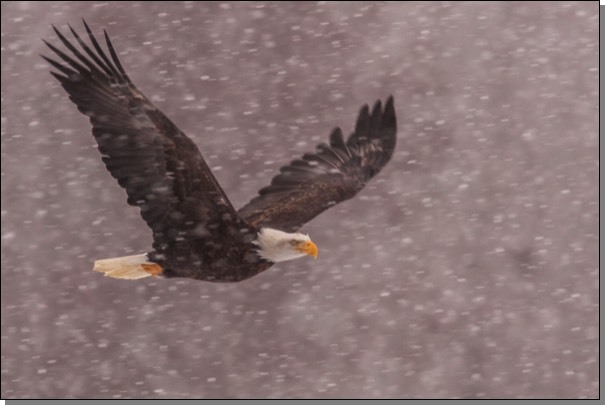 There will be thousands of eagles in this spectacular valley as fall gives way to winter. Day 1: Meet in Juneau at the Travelodge the day before. Everyone needs to be in the day before because we’re getting up early to catch the ferry to Haines. Motel has a shuttle to the airport & the ferry. Breakfast on the ferry. Instructional presentation of what we’ll be photographing. Check in to hotel. Drive out to see the eagles. Dinner. Days 2-5: Breakfast, not real early, as it is dark until 9am. 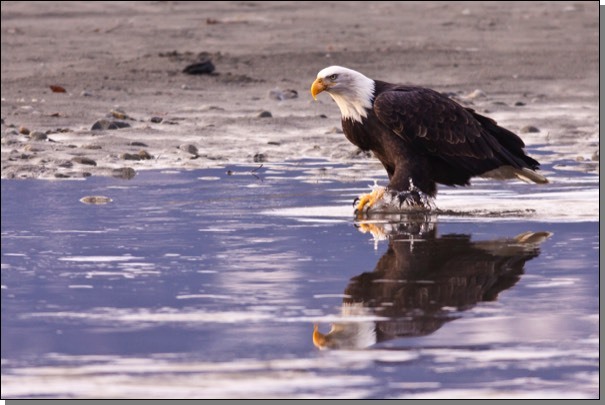 Travel to the Chilkat Bald Eagle Preserve and spend the daylight hours there. We will have snacks & water, and can make bathroom stops as needed. 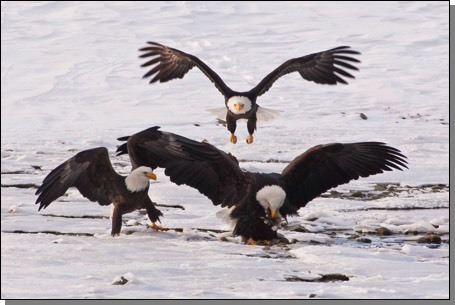 Photograph from beside the road at several locations, wherever there are eagles (everywhere!!). Dinner after. *Participant critique/sharing during one of these days. Day 6: Shooting depends on the ferry schedule—may or may not have time. Pack up, catch ferry, head back to Juneau and the Travelodge or home.